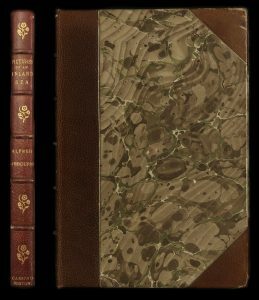 Bound in ornamental gilt stamped purple cloth. 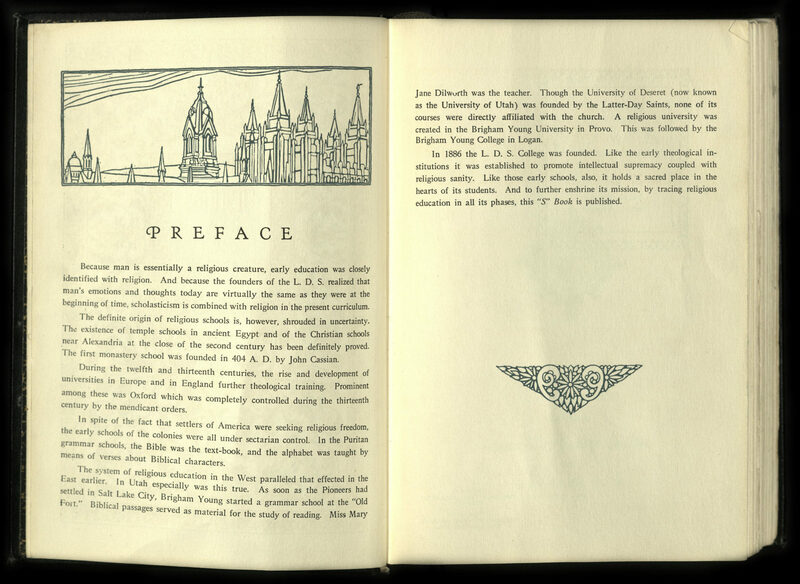 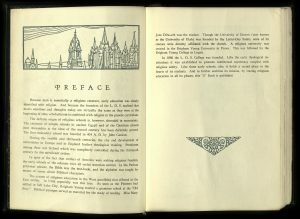 Blind stamped borders; blind stamped title on rear cover; coated end papers. 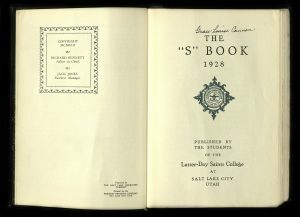 A gift from Ed Firmage (University of Utah Professor Emeritus) to the Rare Books Department raises intriguing questions. 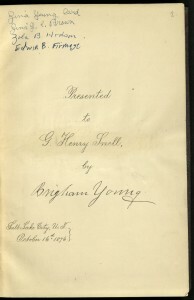 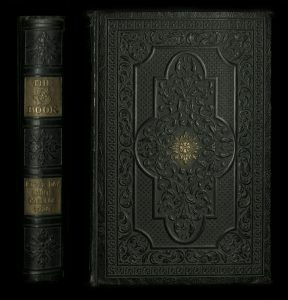 In the front of this well preserved copy of the Life of Brigham Young; or, Utah and Her Founders, published in 1876, is a calligraphic inscription wherein Brigham Young presents this copy to G. Henry Snell. 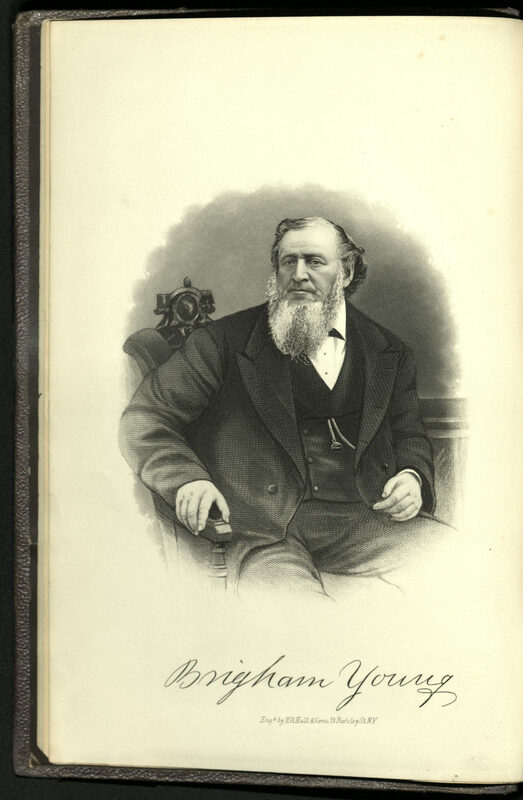 According to an obituary, George Henry Snell was a successful business man in the Salt Lake City area during the latter half of the 19th century. 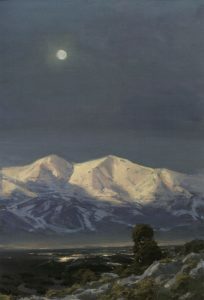 Born in St. Louis, he moved to the Salt Lake Valley as a young child. 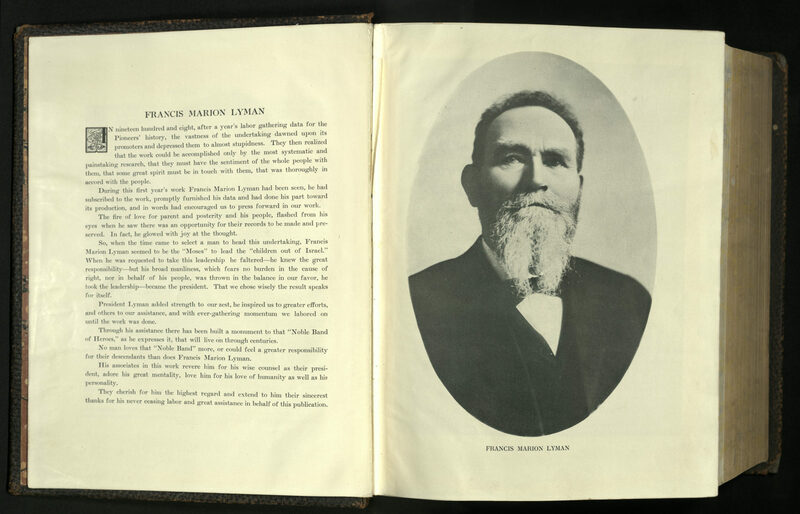 Mr. Snell operated the Utah Soap Company and was one of the original stockholders in the Saltair Beach Resort. 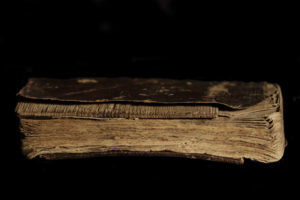 He suffered from a heart condition that resulted in an early death at fifty years of age. 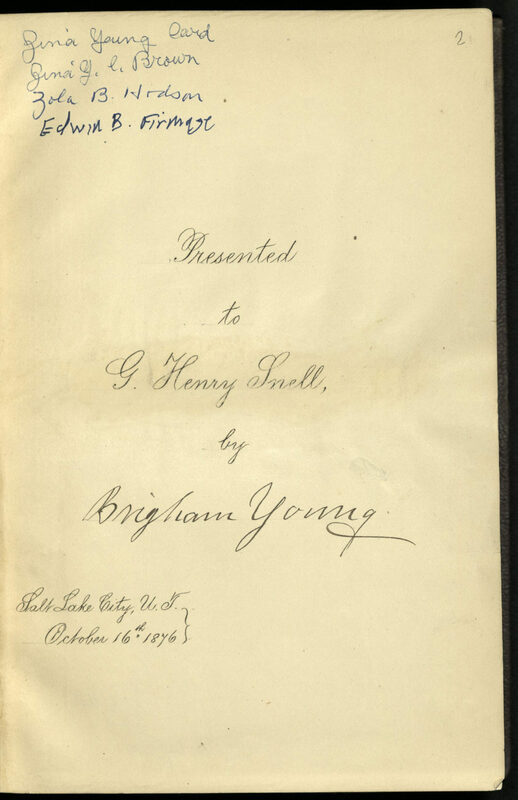 What is not known is the nature of the relationship between Henry Snell and Brigham Young, the then President of the Church of Jesus Christ of Latter-day Saints and, as the memoir shows, one of the most powerful men in the American West at the time. 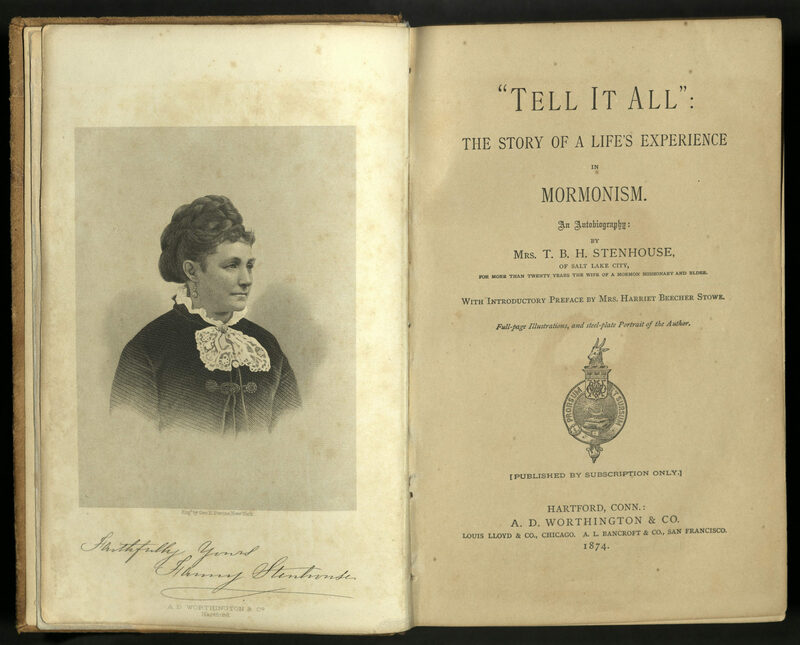 So we see that Edward Tullidge wrote his account because of his love for the Mormon people and believed the events of the time period covered in his book were “worthy an enduring record.” But he also divulged he was an apostate, or one who had left the church. 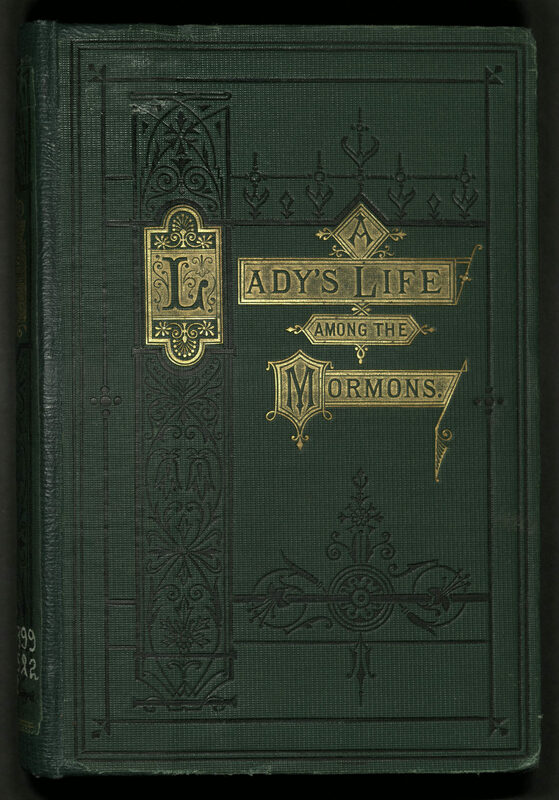 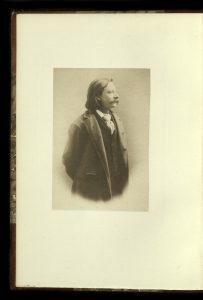 Born in England in 1829 and having been introduced to the Church of Jesus Christ of Latter-day Saints there in the 1840’s, Edward Tullidge immigrated to the Salt Lake valley in the early 1860’s where he became a literary critic, newspaper editor, playwright, and historian. 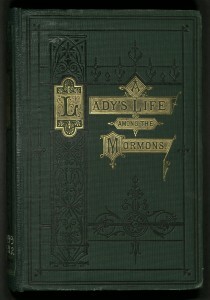 He wrote numerous journal articles, several plays, and five books (including the Life of Brigham Young). 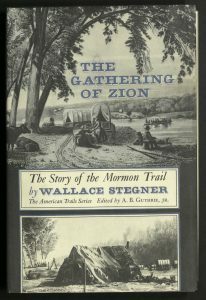 Although still technically a member of the LDS Church at the time of writing the biography (despite the claim of being apostate in the preface), Tullidge participated in the Godbeite movement (which initially sought to reform the church by breaking Brigham Young’s hold on secular and economic matters) and then in the late 1870’s joined the Reorganized Church of Jesus Christ of Latter-day Saints. 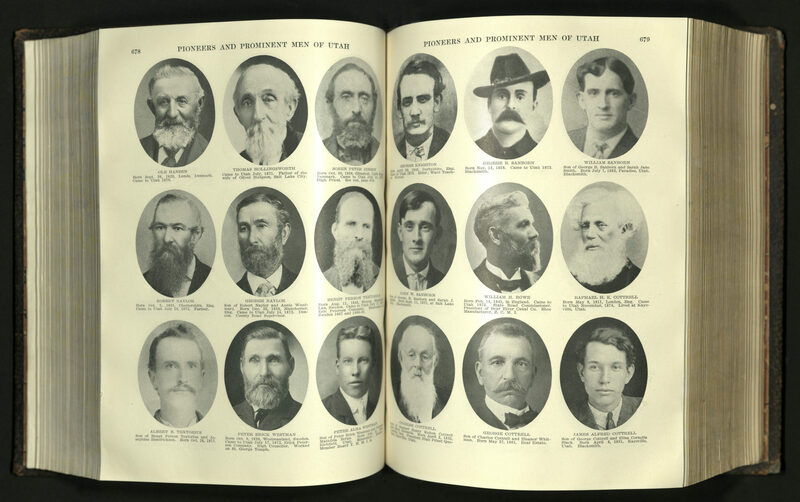 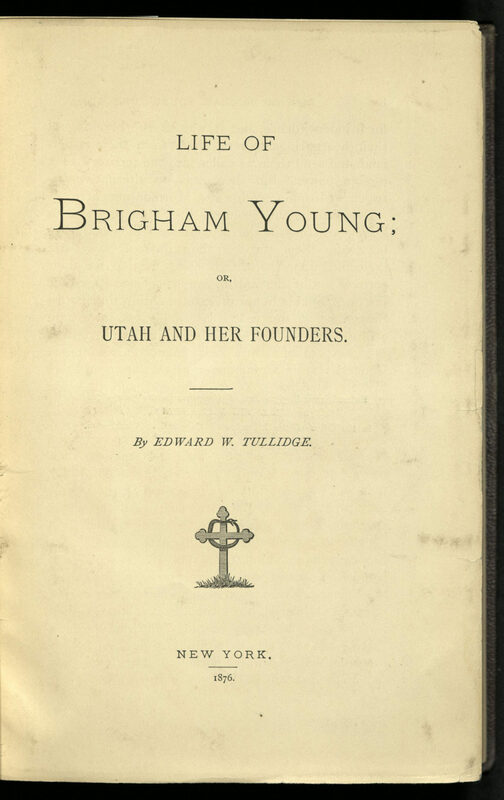 Some LDS church leaders did not approve of the biography Tullidge wrote about Brigham Young. 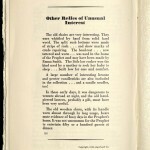 There is evidence of this in an article published in the Millenial Star in November of 1878. 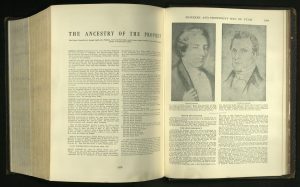 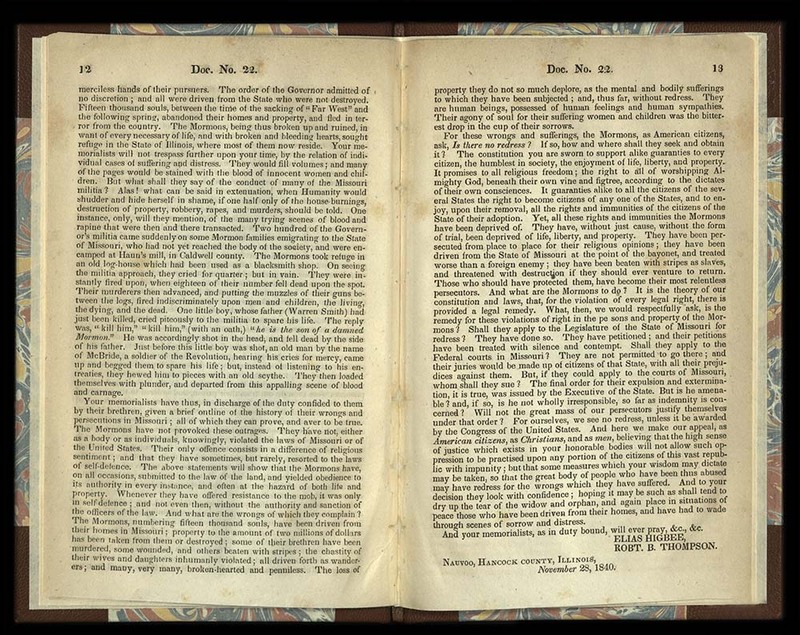 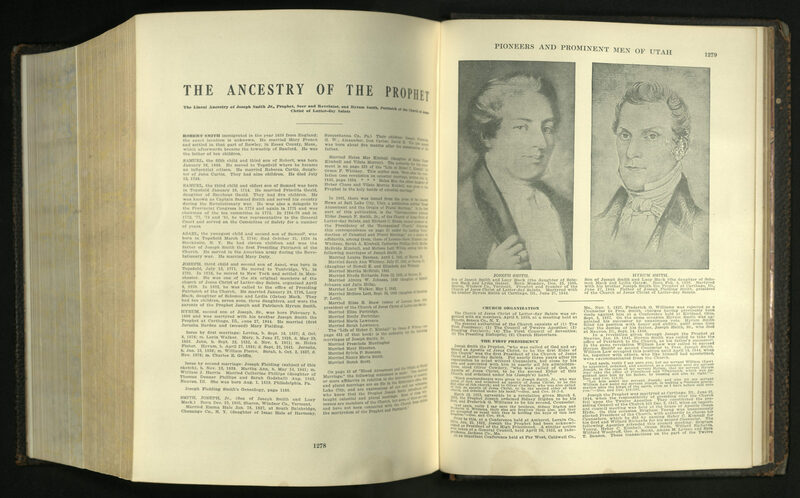 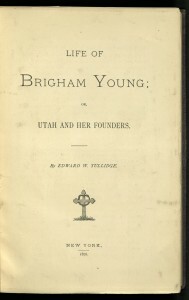 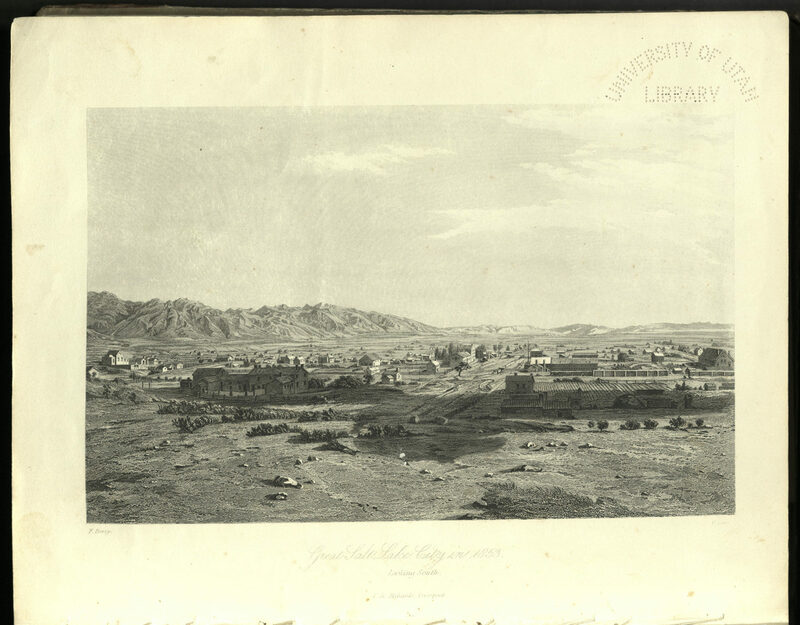 The article relates an interview between President John Taylor and Edward Tullidge concerning his publishing of Life of Brigham Young and his interest in writing a biography on Joseph Smith. 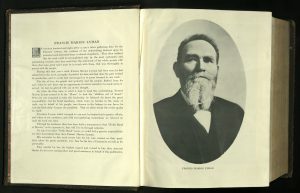 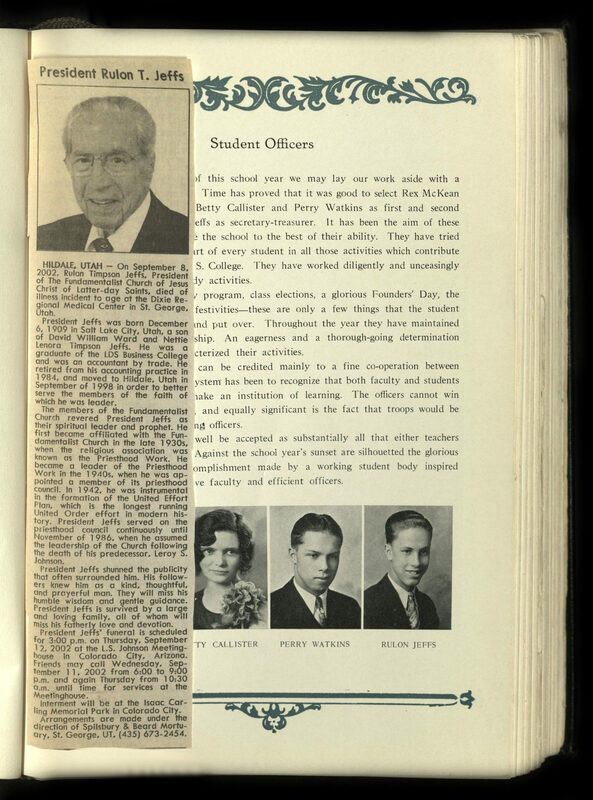 During the interview President Taylor inquired about the statement in the biography’s preface concerning him being an apostate and forbade Tullidge from having access to the church’s Historian’s Office. 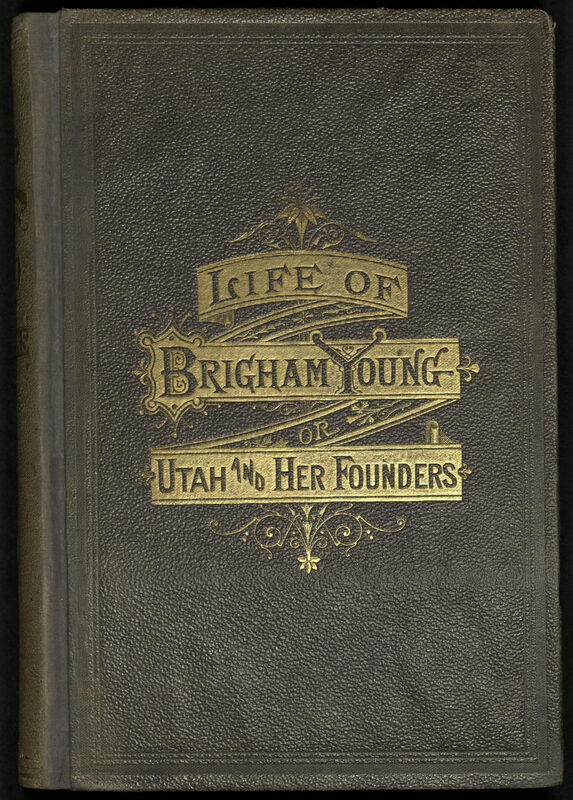 The Life of Brigham Young provides a dual perspective of an important time in Utah’s history from an author who loved the Mormon people yet disagreed with some of the policies of the prominent leaders he wrote about. 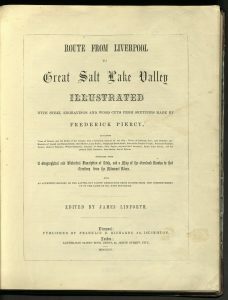 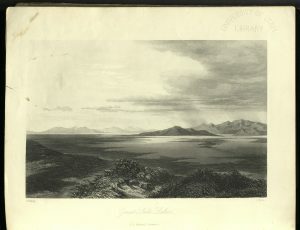 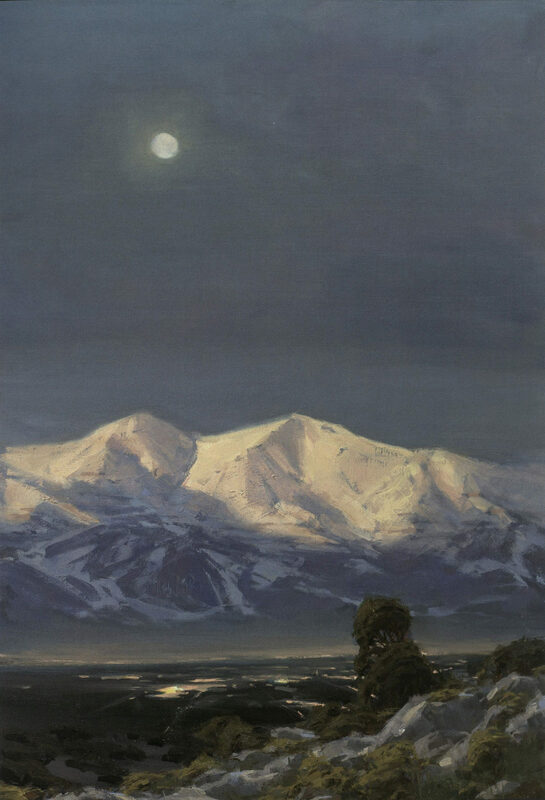 This perspective adds value to the historical record of the two decades following the settling of the Salt Lake Valley by the early Mormon pioneers. 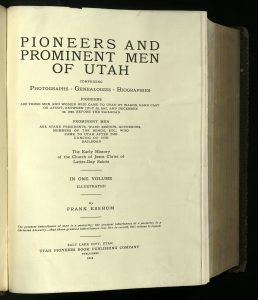 Questions that the Rare Books staff will continue to research include the number of copies printed and how many of those Brigham Young gave (with the front inscription) to others. 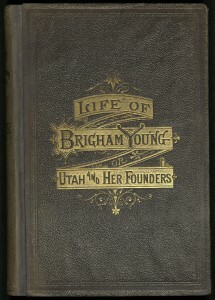 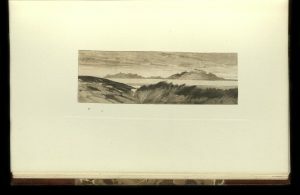 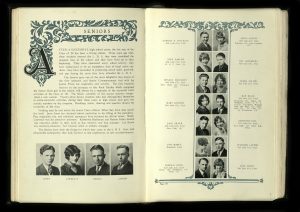 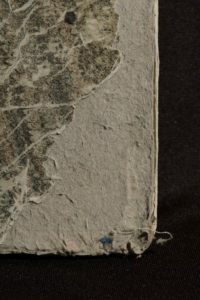 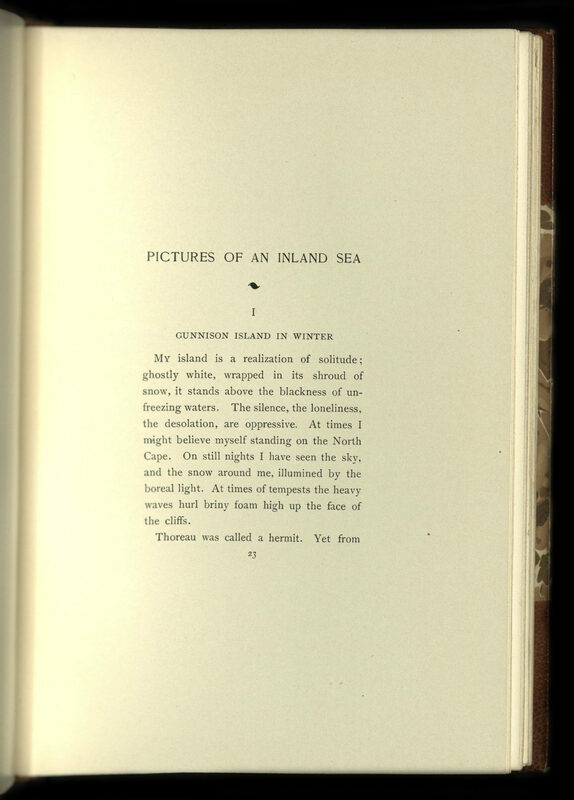 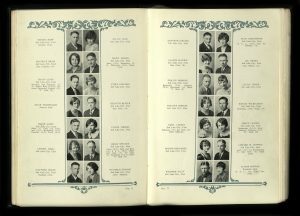 We know of one other inscribed copy (given to Eliza R. Snow, wife of Brigham Young), which is in the Kenneth and Linda Brailsford manuscript collection (Accn 2935). 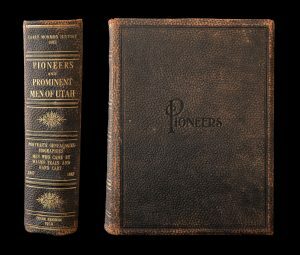 The first missionary work in Hawai’i for the Church of Jesus Christ of Latter-day Saints began in 1850, when Charles Rich called for the establishment of a mission on what was then known as the Sandwich Islands. 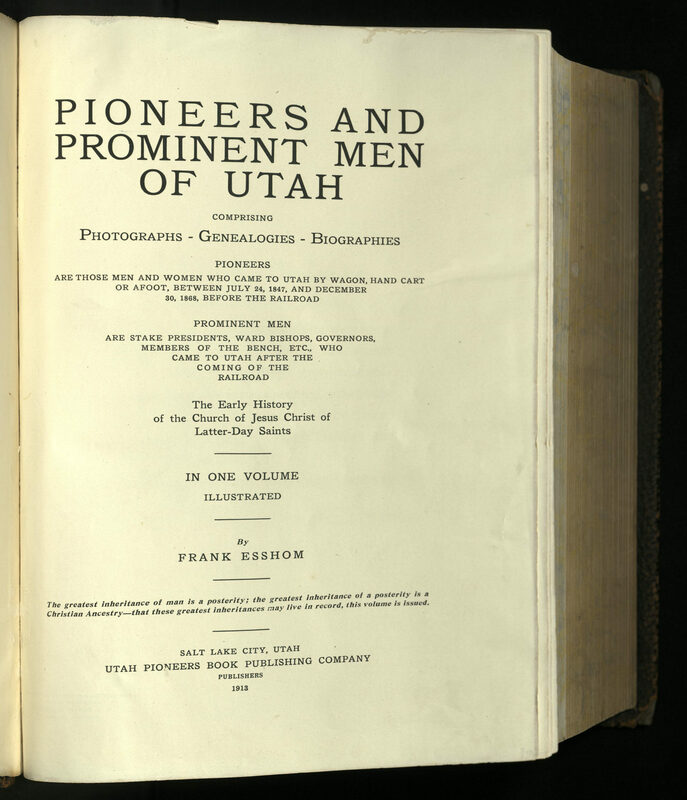 Of the ten men that answered the call, five remained after several months. 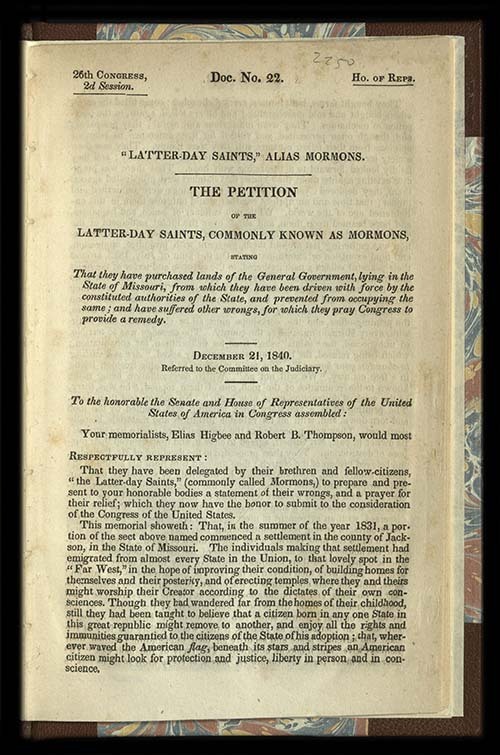 The first conversions came on the island of Maui on August 6, 1851. 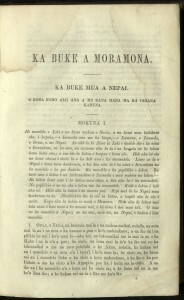 By 1854, more than four thousand native islanders had converted. 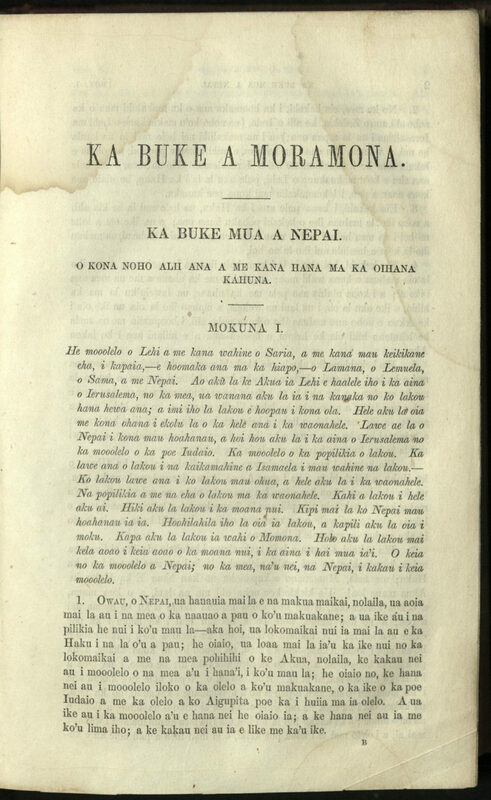 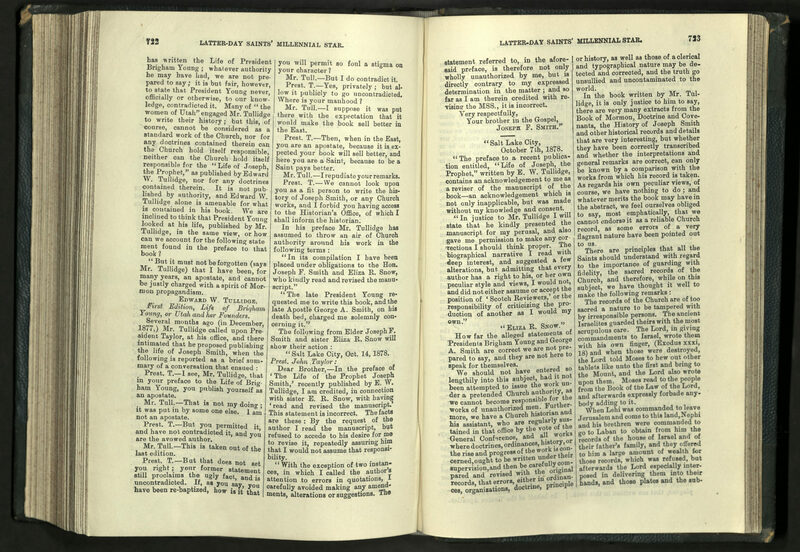 The Book of Mormon was translated into Hawaiian by Elders George Quayle Cannon, William Farrer, and Jonatana H. Napela, a Hawaiian native. 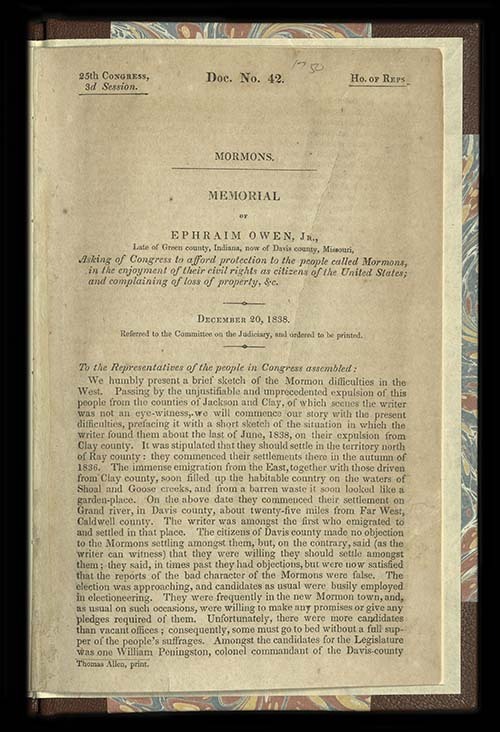 It was published five years after the first Mormon missionaries arrived on the islands. 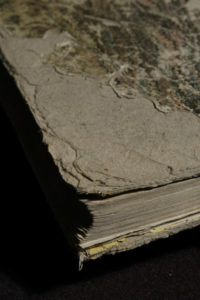 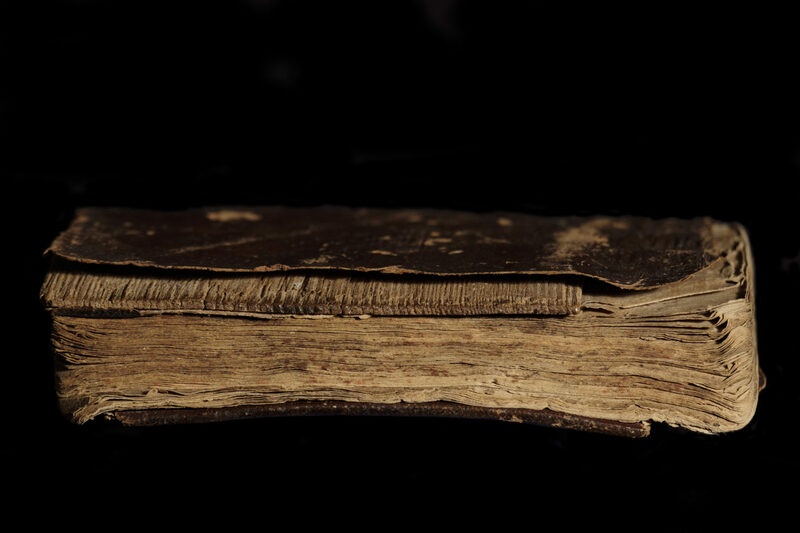 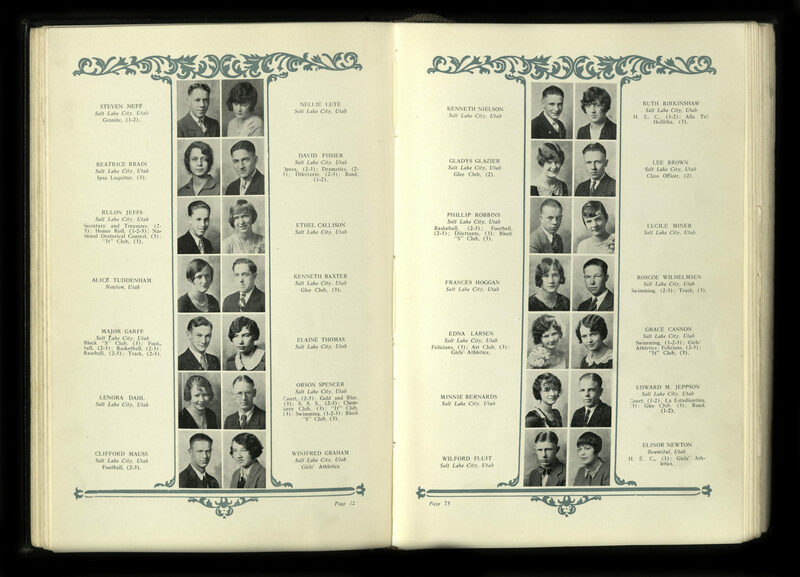 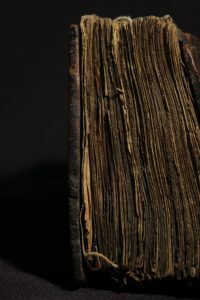 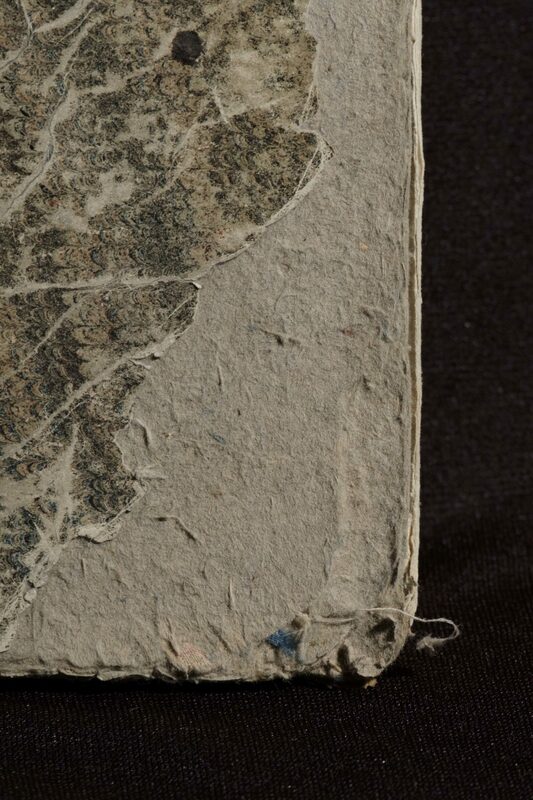 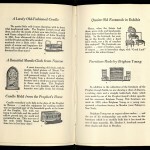 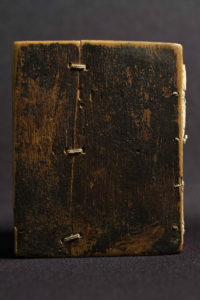 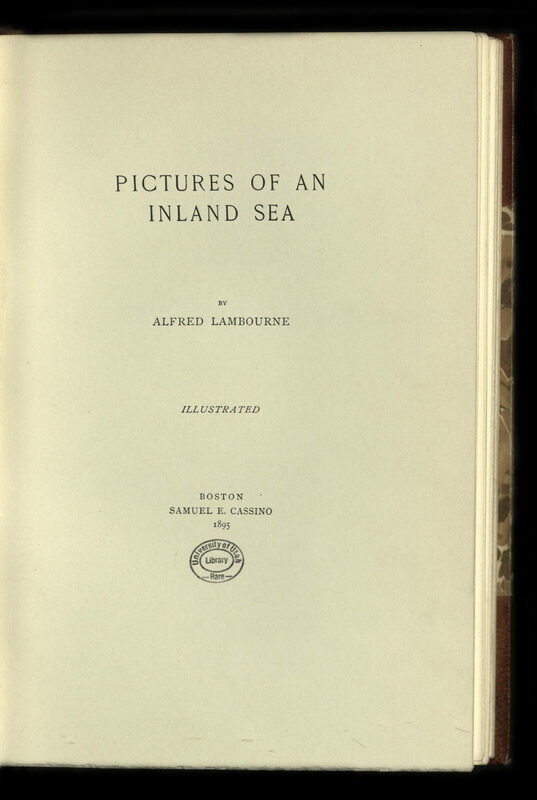 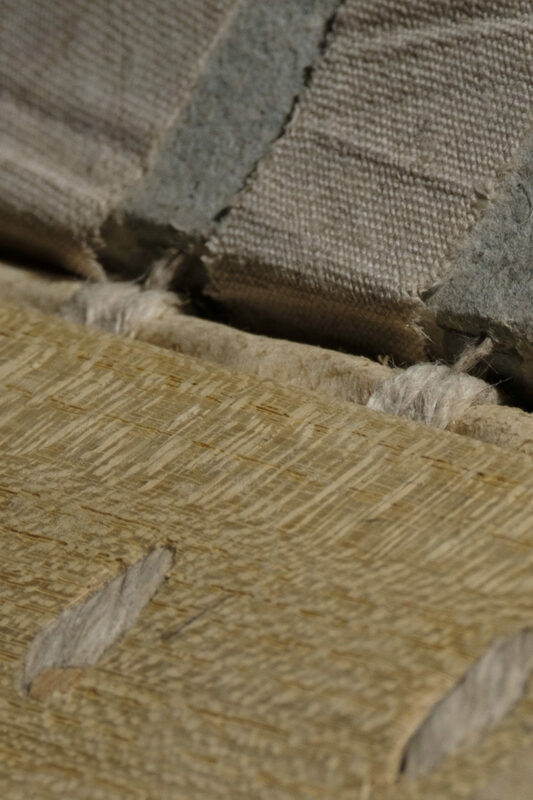 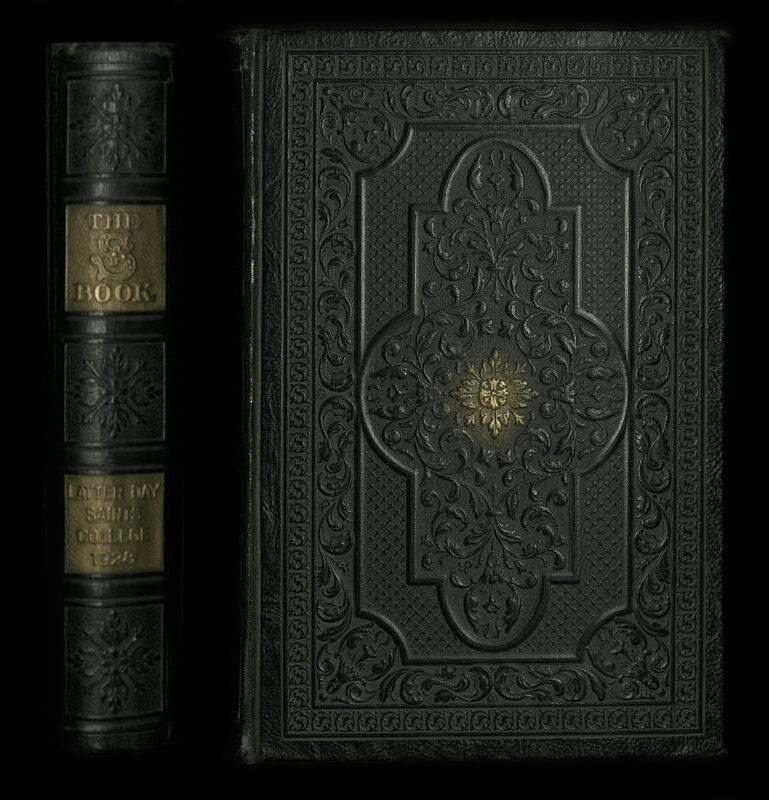 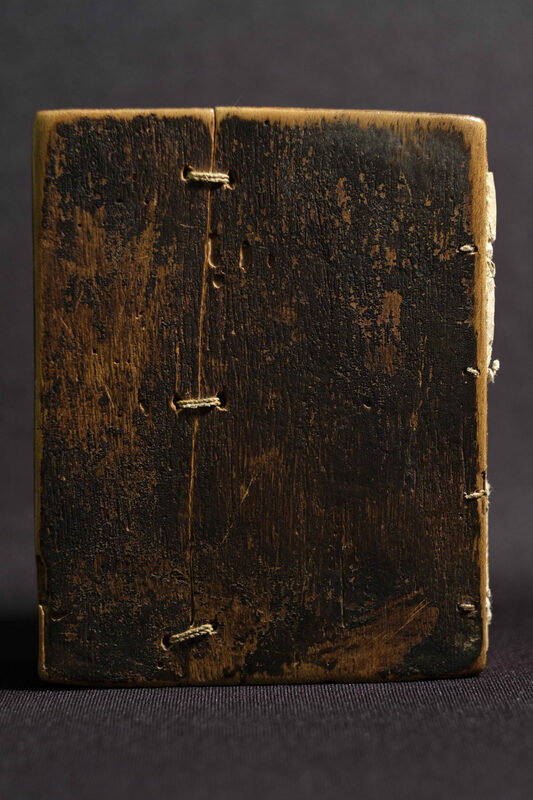 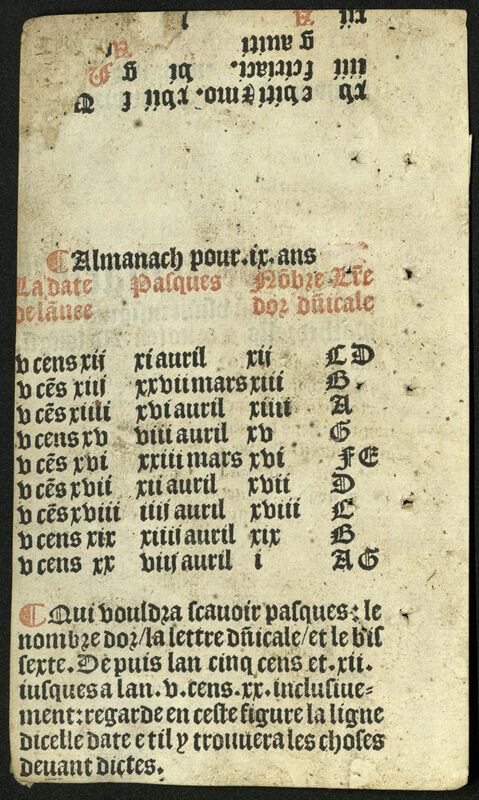 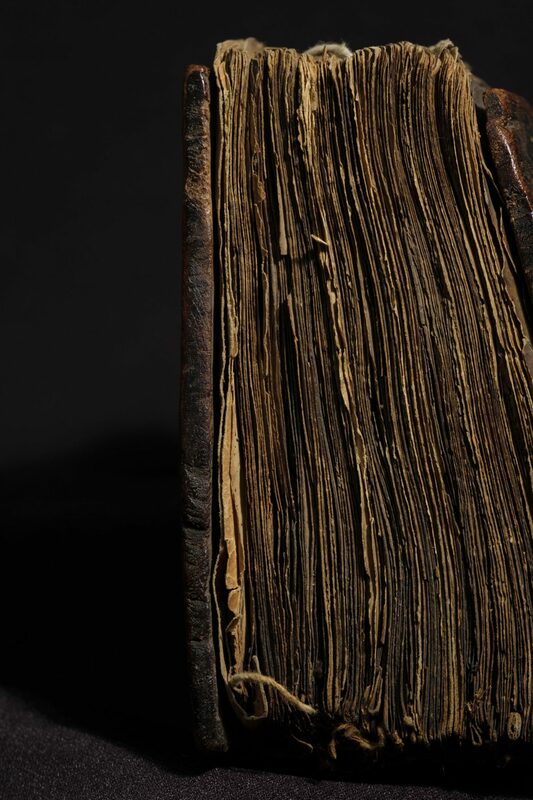 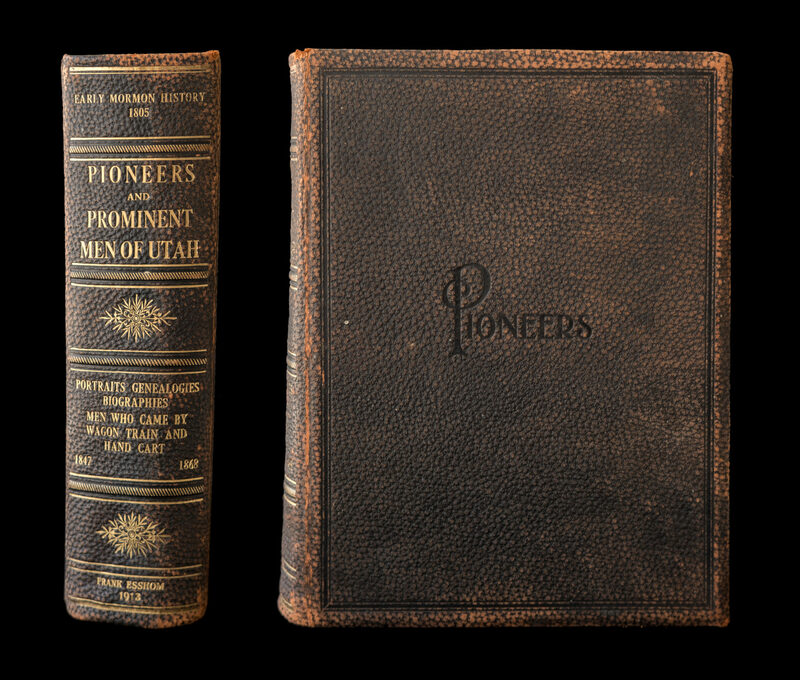 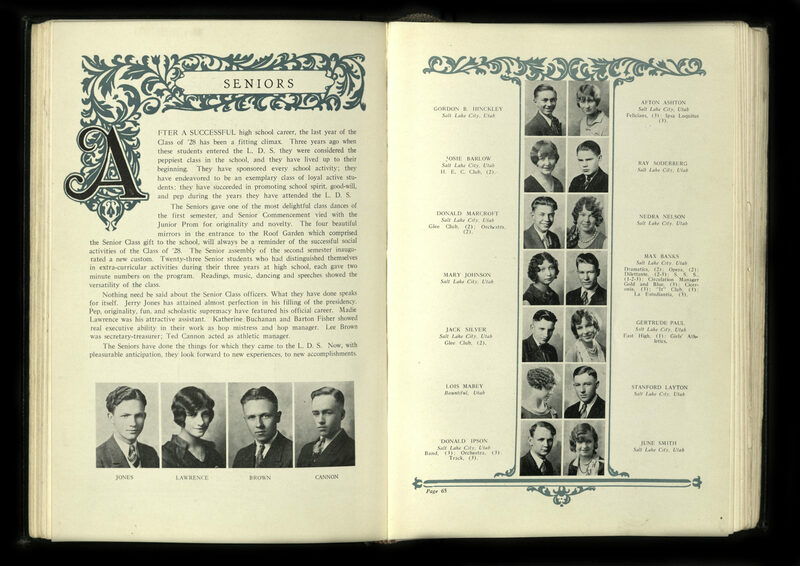 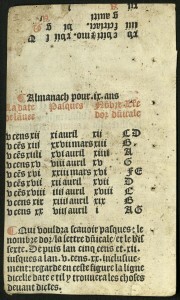 Three thousand copies were printed in San Francisco, two hundred of these were bound. 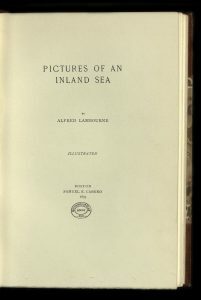 Nearly all of the copies were shipped to Hawai’i. 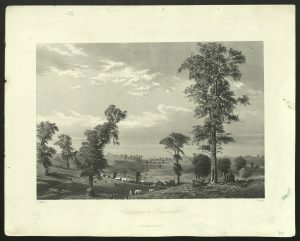 Most of these were destroyed in a fire in 1868. 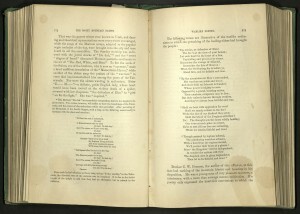 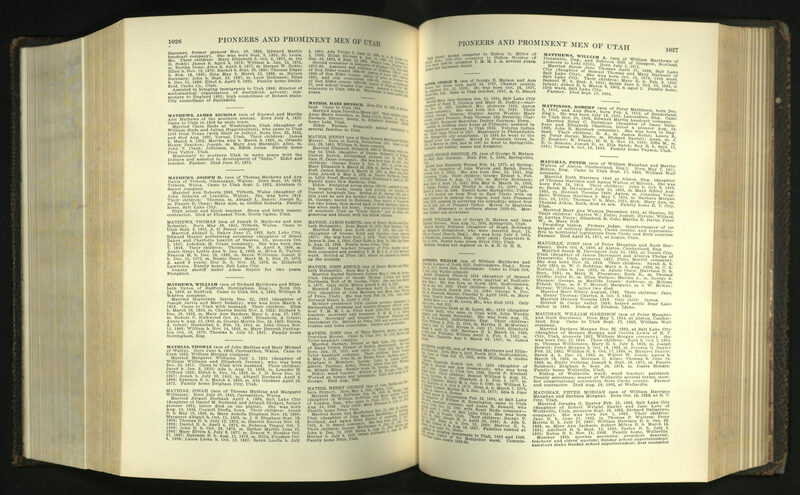 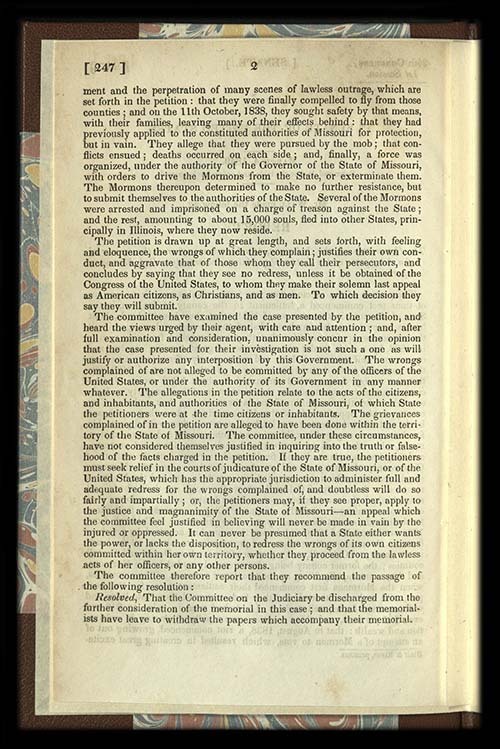 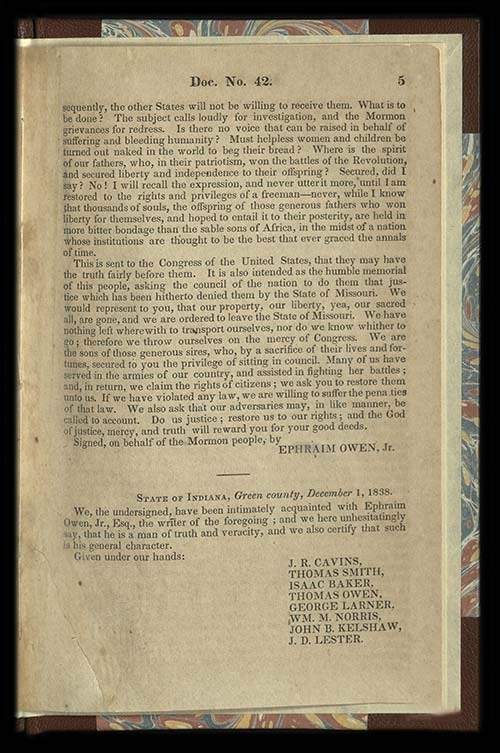 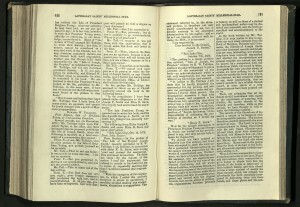 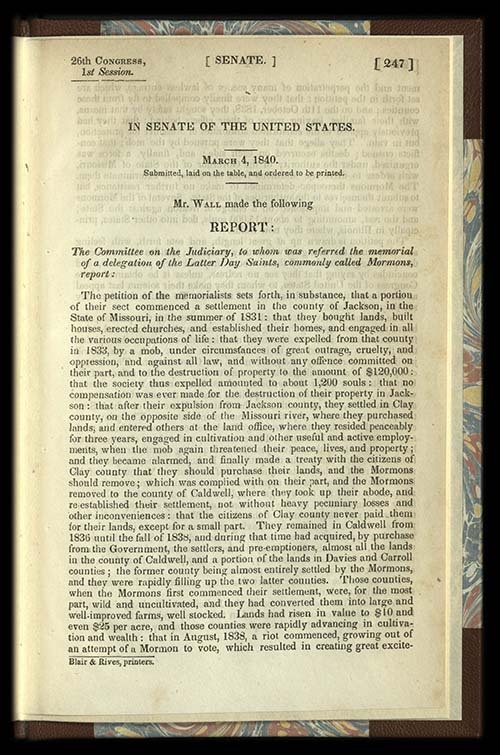 An estimated 30 copies of the 1855 edition survive today. 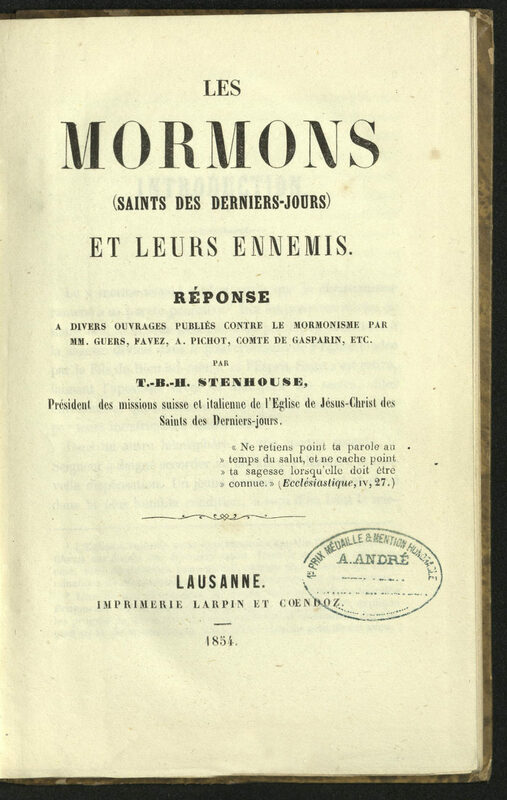 T. B. H. Stenhouse was a Scottish convert, one time missionary companion to Lorenzo Snow in Italy, and first Mission President over the Swiss Mission of the Church of Jesus Christ of Latter-day Saints. 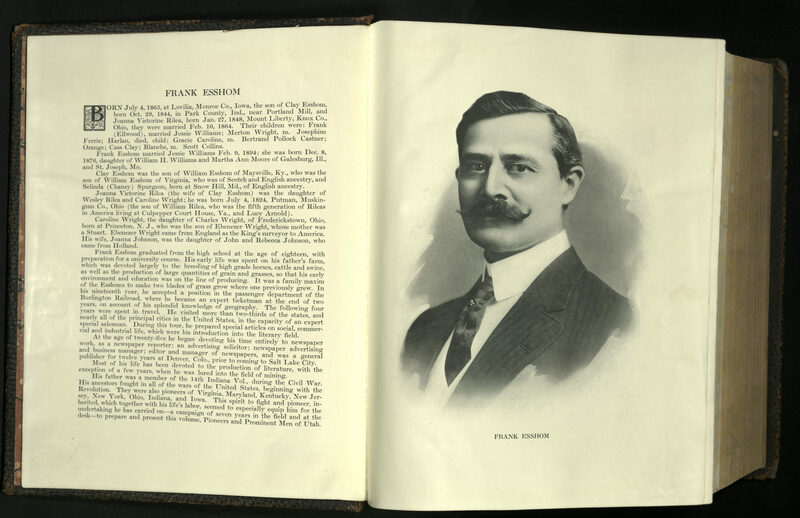 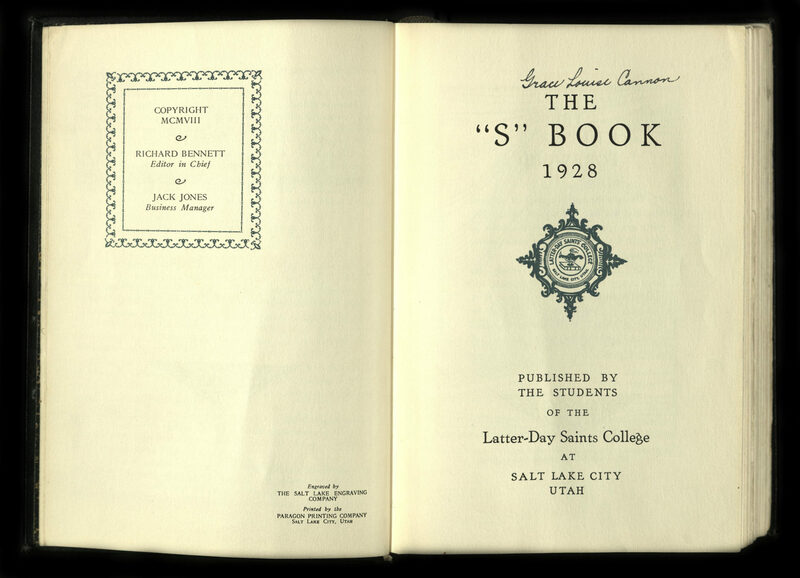 While serving in this position he edited the Latter-day Saints periodical, Le Reflecteur and published Les Mormon et Leurs Ennemis, written for the purpose of defending the LDS faith against anti-Mormon arguments popular at the time. 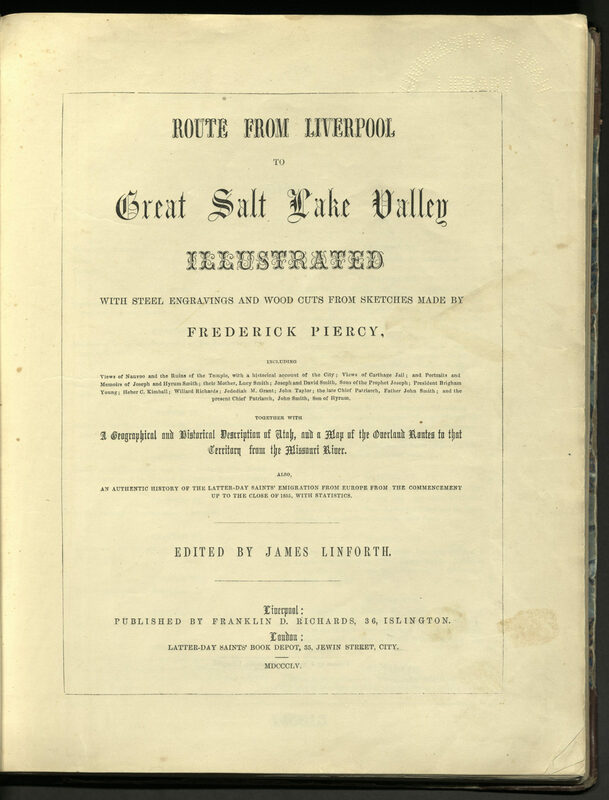 In 1855 Stenhouse and his wife, Fanny Warn, emigrated to Utah Territory and settled in Salt Lake City. 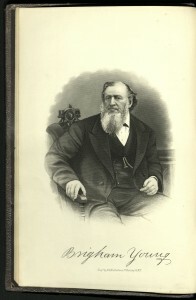 Stenhouse became the editor of the Salt Lake Telegraph, a pro-Mormon newspaper. 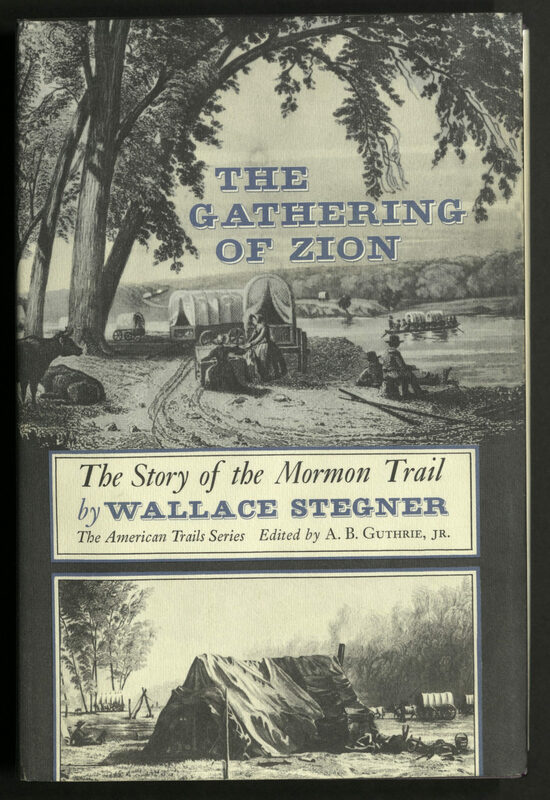 In 1862, Stenhouse took a polygamous wife. 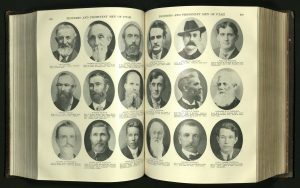 Fanny Stenhouse objected. 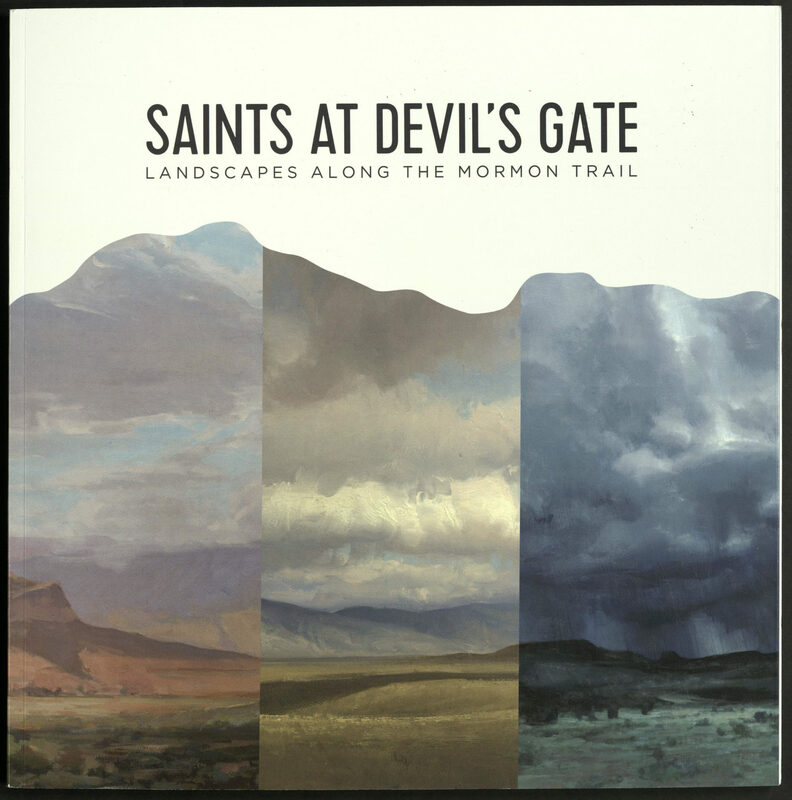 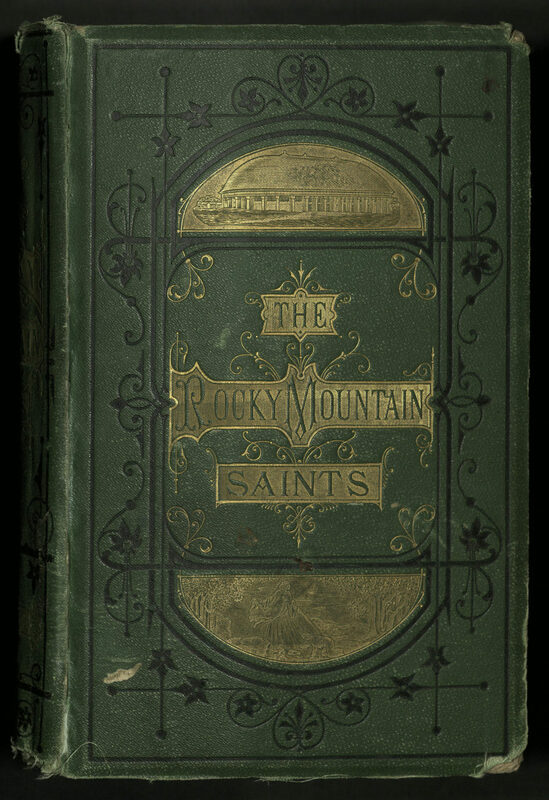 In 1870, Thomas and Fanny Stenhouse acted on growing disaffection with the church, Thomas having become particularly uneasy with Brigham Young’s heavy hand in the daily lives of the of the Saints. 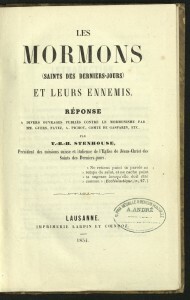 Thomas and Fanny left the church and were then excommunicated. 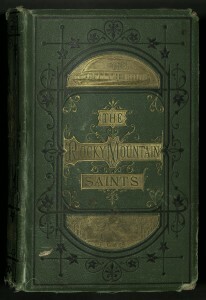 In 1873 Stenhouse wrote The Rocky Mountain Saints: A Full and Complete History of the Mormons, an expose against the church. 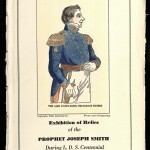 This work became a standard for anti-Mormon attacks on Joseph Smith. Fanny Stenhouse wrote her own story of disenfranchisement in A Lady’s Life Among the Mormons (1872). 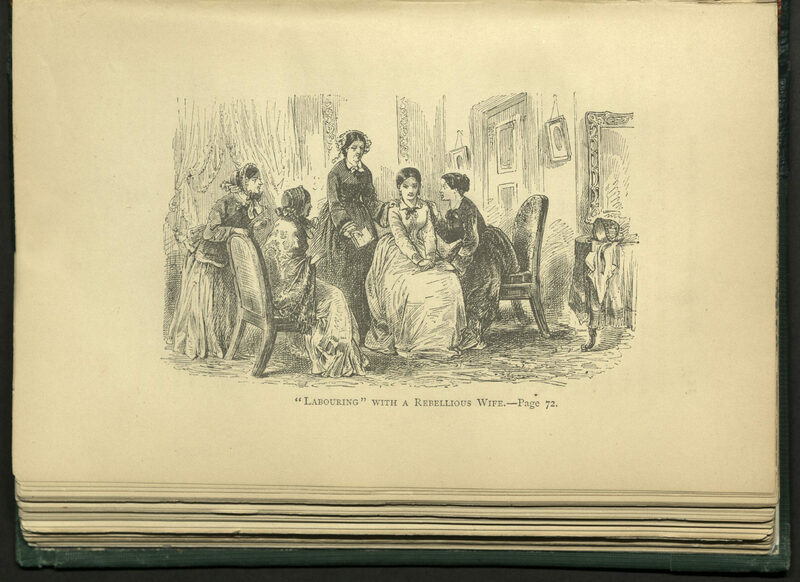 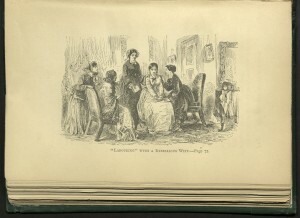 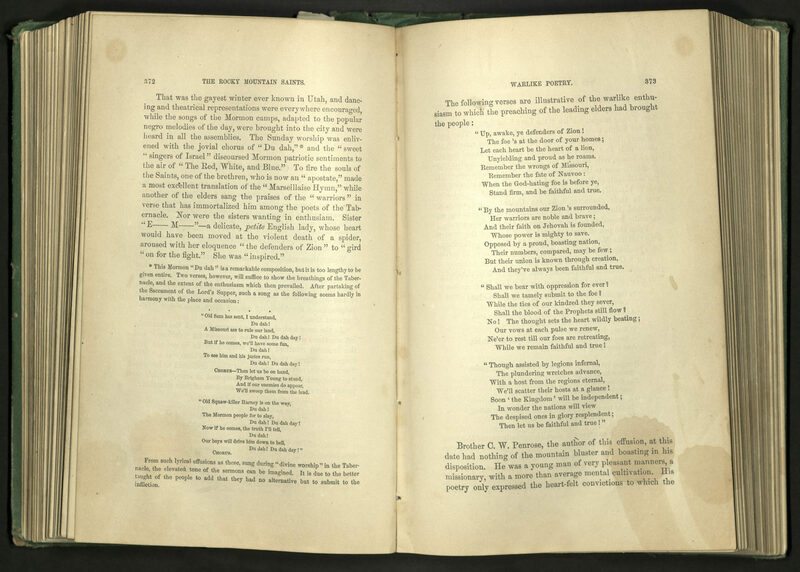 The book was reprinted as Tell It All: A Woman’s Life in Polygamy (1874), with a preface by Harriet Beecher Stowe.